Nu Skin isn’t new to the MLM industry, so they know the ropes. Making billions while they’re at it. Nu Skin Enterprises is a multi-level marketing company that has peddled skincare products since 1984, selling products under the brand names of Nu Skin and Pharmanex. Despite several investigations by the Federal Trade Commissions during the 1990s for false advertisement and lying about income generated by its distributors, they were still listed as one of “100 Most Trusted U.S. Companies” by Forbes in 2010. 1. What does Nu Skin sell? Personal care products and dietary supplements. 2. What are Nu Skin’s most popular products? The most popular products aim to keep you looking young and feeling beautiful. The Nu Skin skincare line is the basic set and includes everything you expect from top-of-the-line skincare: anti-aging skin care products, plus UV Defense, Skin Mist, Cell Renewal, and AHA Facial Peel and Neutralizer. But if you’re seeing signs of aging, you may want to step things up with Nu Skin’s ageLOC products, which are supposed to minimize the appearance of fine lines and wrinkles. In addition to a specialized skincare set, they offer ageLOC Future Serum and the ageLOC Edition Galvanic Spa System. Of course, for today’s consumers who love natural or sensory products, Nu Skin has got you covered with a line of essential oils and diffusers. 3. How much does it cost to join Nu Skin? You can join Nu Skin as an individual or a business entity. To join as an individual, you’ll need to place an initial order of at least $100. To join as a business entity, you’ll need to have a Federal EIN and a startup investment of $1,495. 4. Is Nu Skin a scam? No, Nu Skin is a legitimate business with real products. Their products aren’t available in stores, but you can buy them from a distributor or directly from Nu Skin as a preferred customer. Nu Skin is also publicly traded on the stock markets. 9. What lawsuits have been filed? In 2016, Nu Skin paid $47 million to settle a putative class-action lawsuit that alleged the company and its executives failed to disclose an unlawful pyramid scheme in China. [1, 2] Also in 2016, Nu Skin was awarded $336,000 in damages and restitution after a former employee allegedly stole personal care products. In 1991, Arata sued Nu Skin, claiming they were a pyramid scheme. The suit gained momentum, becoming a class-action suit that demanded damages of over $80 million. Six months later, the courts ruled in Nu Skin’s favor, affirming they were a legitimate business. You can read the story here, as told by one of the original shareholders and top executives, Keith Halls. So should you promote Nu Skin? Either way, here’s the full review on Nu Skin. All of their nutritional supplement products are branded under the name Pharmanex. They have the usual assortment of vitamins, weight loss powders, energy boosters, and capsules designed to help the heart, brain, digestive system, etc. In addition to these products, they carry what they call a BioPhotonic Scanner. This measures the carotenoid levels in your tissues. This, in turn, gives you an indication of what your antioxidant levels are. They also have a brand called AgeLOC Youth. This has a wide variety of pills and creams designed to reverse the signs of aging and help you continue to live life in a youthful stage (similar to PhytoScience and Trevo). 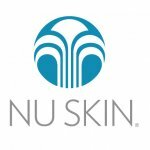 Nu Skin Enterprises offers its distributors the chance to make money selling their products from the comforts of home at their own schedule. Once you enroll with Nu Skin, you simply share your story and their products with others and receive a direct commission on all sales that you generate. By getting others to become distributors, you can rise to the role of an Executive Leader. The more people you have working under your chain, the more money you make. You can learn how to teach others to become Executives and win opportunities to go on special trips all around the world. You can up to 25% on all retail sales and 5% on everyone’s sales within your level. This is generated on a monthly basis. It really boils down to what your goals are and what you are prepared to do to reach them. The more people you can get to sign up, the more your potential earnings are increased. The compensation plan is pretty good at up to a 25% commission. The company has been around a long time and has generated a lot of revenue over the years. Because of their extended history, many people have at least heard of them, even if they aren’t completely familiar with their products. Nutritional supplements are extremely popular in today’s markets. The same holds true for anything claiming to be beneficial in anti-aging properties. Because of this fact, it seems like these types of products are fairly easy to market and make a little extra money while working from home. Nu Skin seems to have a strong and supportive training program and continues to aid and assist their distributors in all the facets of marketing their assorted products. Even though Forbes feels they can be trusted, the fact that there were so many allegations over shady business practices in the past is still something to take into consideration if thinking of joining this company. After being tested by ConsumerLab.com, Pharmenex’s Anti-Aging Pack failed, because it didn’t clearly give the actual amount of Vitamin A levels within it. Their BioPhotonic Scanner was pretty much designed to keep people buying their supplements, which by the way, are ridiculously overpriced in comparison to other nutritional supplement companies that are out there. In my opinion, anyone who is thinking of joining an MLM company in an attempt to generate money from home would be well advised to stay away from Nu Skin Enterprises. Yes, they have been around for over 30 years. Yes, they have generated a considerable amount of revenue in this time frame. Yes, they have over 5,000 employees and 800,000 distributors globally. However, the lack of full disclosure to investors is a big red flag for anyone contemplating joining this team. Is there anything they aren’t disclosing to their distributors? Their products prices are inflated considerably. $180 for some supplements that haven’t even been proven effective? I don’t think so. That BioPhotonic Scanner is questionable as well. It’s based on different light frequencies that are supposed to measure your anti-oxidant levels. You submit the report back to them and they tell you what nutrients you should be taking. Guess what? They will definitely have something to sell you. When researching other reviews on Nu Skin, I was hard pressed to find any favorable reviews. In fact, most of them were extremely negative and I can see why. Though they claim that up to 43% of their profits go back to the distributors, there are too many other unsubstantiated claims on record for me to fully believe this. Think about what it is you are trying to achieve and who you feel comfortable about representing. After doing some research on Nu Skin, trying to get through the confusing explanations of their commission packages, reading about all of the allegations, and seeing all of the other negative reviews about this company from customers and employees alike; you too will agree that there are much better options for a person wishing to start up their own home-based business.